Please read the following instructions carefully and note any questions you may have. The pre-op nurse will be calling you 24-48 hours one-two days prior to the procedure to go over your child’s past medical history and answer any questions you may have. Please remember to complete your online registration. Eating Guidelines: It is very important that you follow the eating guidelines exactly in order to ensure your child’s safety and that the procedure does not get cancelled. The following are meant as guidelines only. The pre-op call nurse will go over your child’s eating guidelines. Nothing to eat or drink after midnight the night before. If your child is on formula and younger than six months, stop giving formula six hours before arrival at the center. If your child is on breast milk, please stop feeding four hours prior to your arrival at the center. If your child is under 5 years of age he/she may have clear liquids up until 4 hours of the procedure. Clear liquids including water, apple juice, white grape juice, popsicles, clear broth, Pedialyte, jello. Jewelry: Please remove all jewelry from your child prior to coming to Short Hills Surgery Center. This includes earrings, rings, bracelets, necklaces, etc. Please leave items at home. Children’s items tend to be very small and misplaced easily. To avoid this, we ask that you leave them at home. Nail Polish and Make-up: Please remove your child’s nail polish and make-up prior to your arrival at the center. Glasses and Contact Lenses: Please have your child wear their glasses to the center and bring their eyeglass case with them for safe storage while in surgery. If your child wears contact lenses, please bring a storage case and saline to properly store the lenses. 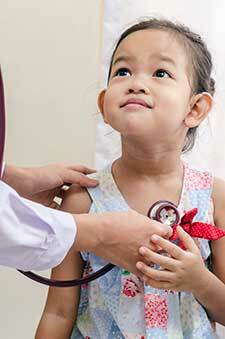 Illnesses: If your child gets sick, please contact your primary care physician or pediatrician as soon as possible. If your child wakes up sick the day of surgery, you must contact the surgeon. Dress Attire: Please dress your child in comfortable clothes that are easy to change out of. Sweat suits and other cozy clothing work well. Anything that will make your child feel comfortable and relaxed before and after the surgery is a great choice. Comfort Item: Your child may have a certain stuffed animal, toy, or blanket that makes them feel happy and safe. We encourage you to bring that item to the center on the day of surgery. If your child has a favorite DVD movie, please feel free to bring it. If there is waiting time while in the pre-op area or recovery room, portable DVD players may be available for your child’s comfort. You must remain in the building while your child is in surgery and recovering. Please make arrangements to make sure you do not have to leave the building during this time. When you register at the front desk, both you and your child will be given an ID band for identification. Your child will only be discharged to the parent/guardian with the wrist band. Please bring your insurance card and photo I.D. when you come to the center. If the pre-op call nurse did not reach you or was unable to obtain a medical history for your child, please bring a list of your child’s medications along with dosage. When can my child take a shower/bath? How much activity is my child allowed to participate in? Each child responds to a new experience in their own unique way. Most children will have some worries about their surgical procedure. It may be difficult and confusing as a parent to answer some questions. Here is some information that may help when talking to your child about his/her surgery and answering their questions. Infants and Toddlers: Infants and toddlers may be the most difficult age group to prepare for a procedure due to their limited level of understanding and communicating. Children at this age fear separation from Mom and Dad. It may help your child if you bring a favorite blanket, pacifier, or stuffed animal to the Center on the day of surgery. Your child will need to know that Mom and Dad are nearby. Our clinical staff knows how important this is to you and your child. We will make every possible effort to limit the amount of time apart. Ages 2-6: Children ages 2-6 should be given truthful statements; where they are going, why, and how long they will be there. Inform your child in simple words what can be expected to occur on the day of surgery. (Ex. Reading books together may help encourage questions.) Encourage your child to ask questions about the procedure and their worries. Teenagers: Teenagers may not express feelings openly, they may internalize them. They worry about their appearance, missing school, activities, and sports. Talk to them about not being afraid to ask questions. Tell them no question is stupid and any staff member at the surgery center would be glad to answer their questions. Be sure to include your teen in discussions and assure them all personal information will be kept private. The clinical staff at Short Hills Surgery Center is always available to answer any questions you or your teen may have. Our goal is to make your child’s surgery a positive experience. We at Short Hills Surgery Center work hard to reduce the anxiety level of children who are having surgery. It is also important to us to reduce the anxiety level of the child’s parents/guardians. You will be allowed to stay with your child (6 months to 18 years) at the start of anesthesia provided that you follow the instructions of the medical staff at all times. Only one parent/guardian will be allowed into the operating room. Others will remain in the waiting room. Once your child has been registered for the procedure, a nurse will meet with you and your child, to take your child’s vital signs, weight, and medical history. As the parent or legal guardian, you will be asked to sign a consent form before the sedation medication is given. Your child’s anesthesiologist will decide which type of medication is right for your child, depending on your child’s age, medical history, and type of surgery being done. Medication can be given through a mask or directly into a vein through an intravenous (IV) line. Before entering the operating room, you will be asked to put on a disposable jumpsuit and hair cover to keep the room sterile. This one-size-fits-all jumpsuit – often called a “bunny suit” – will fit over your street clothes and will be taken off and thrown away after you leave the operating room. You may stay with your child until he or she is asleep. You will be taken to the waiting room before the procedure begins. Anesthesia medication can be given either in a liquid form through an intravenous (IV) line directly into a vein or in a gas form by breathing through a mask. If your child is very upset, the doctor can give a relaxation medication by mouth before induction. This medication is flavored and takes effect in 10 to 15 minutes. Older children who are not afraid of needles may choose to have IV anesthesia. The IV form of anesthesia requires a needle to be inserted into the child’s vein, usually in the hand or arm. When anesthesia medication is given through an IV catheter (or tube), the child falls asleep in seconds. Younger children usually get their sleep medication through a mask that will carry air mixed with medication. Your child may choose a favorite scent to flavor the air flowing through a mask; there are no needles or shots used while your child is still awake. When going to sleep with a mask, children frequently try to take off the mask and/or become combative as they go to sleep. This is a normal reaction. Children often will cough, gag, cry, or complain about the smell or say they cannot breathe. These reactions are common responses to placing a mask over a child’ mouth and nose. When children are given anesthesia through a mask, it generally takes 60 to 90 seconds before the child is asleep. When the child falls asleep, he or she will become limp and nonresponsive. Once your child is asleep, an IV will be started so that medication can be given to keep him or her sleeping throughout the procedure. When your child has fallen asleep, you will be escorted to the waiting room until the procedure is over and your child is in the recovery room. As a parent/guardian, watching your child undergo anesthesia may be a very uncomfortable experience for you. Your child may be able to sense your concern – so for your presence to be helpful to your child, you must try to be as calm and encouraging as possible. Bring along a “comfort” item – such as a favorite toy or stuffed animal for your child to hold during the induction. Touch your child to remind your child that you are there. Holding your child’s hand or caressing his or her hair and face will remind your child of your presence. Whisper, talk or sing to your child. The sound of your voice provides reassurance. Remove all jewelry prior to arriving at the Center. Please refer to the NPO Guidelines for fasting instructions. Young children often have loose teeth which can loosen even further or may even become dislodged during surgery. Even with a parent/guardian present, the operating room can be a scary place for a child. Do not feel bad if your child gets upset – even with you there to help. The main purpose of your presence at the induction of anesthesia is to help your child; therefore, your child’s safety is our primary concern. If you are asked to leave the room for any reason you must do so quickly and quietly. The medical staff needs to focus their full attention on your child. If you feel uncomfortable and are unable to stay in the room during induction, please tell one of the medical staff. You will be guided to the waiting room. If your child has any special needs or health issues you feel the staff needs to know about, please call, Short Hills Surgery Center before the day of surgery and ask to speak with the pre-op call nurse. It is important to notify us in advance about any special needs your child might have. The following are the NPO guidelines approved by the Anesthesia Department and Short Hills Surgery Center. These guidelines are the accepted standards but do not guarantee a complete gastric emptying. These recommendations apply to healthy patients who are undergoing an elective procedure. The minimum fasting periods noted above apply to all ages. Examples of clear liquids include water, fruit juices without pulp (such as apple and cranberry), carbonated beverages, plain tea, and black coffee (tea and coffee without milk creamer. Since non-human milk is similar to solids in gastric emptying time, the amount ingested must be considered when determining an appropriate fasting period. A light meal typically consists of toast and liquids. Meals that include fried or fatty foods or meat may prolong gastric emptying time. Both the amount and type of foods ingested must be considered when determining an appropriate fasting period.